Two-Factor Authentication is an additional layer of security and protection that is added to online accounts to make sure nobody can gain an unauthorized access or logins to your accounts. Also commonly known as 2FA, it comprises of two factors – one is your account’s password and the other is a temporary code which is sent either to your mobile number or your email ID for verification. The main purpose of having a 2FA on your online account is to authenticate a login or transaction with a piece of information that only you will have access to. The temporary code will be sent to you, therefore only you have the power to have access to your accounts. When you log into your account, the system requires you to type in your password and also the code which has been sent to your mobile number or email ID. Once the code is verified, you are securely logged into your account. With a rapid increase in cybercrime, online hacking, identity and data theft, the need for protecting your data and personal information has been created. Now users have become more conscious about online security than previously. They want to ensure your data and online accounts are kept secured, therefore they are adopting certain measures to keep everything protected. Setting up a two-factor authentication is significant not only for email accounts but also for banking and finance related accounts. Let’s find out how you can activate a two-factor authentication for your Google account. First and foremost, sign in to your Google account. After signing in, head over to My Account’s page. Here you will get an overview of your Google account, its settings as well as authorized apps. You can edit your personal details and alternate contact numbers here and also add your primary contact number. You will come across a section ‘Sign-in & Security’ on My Account’s page and under that, you will see the option of carrying out a ‘Security Checkup’. 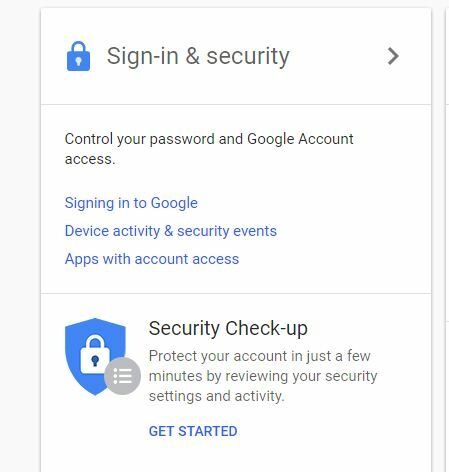 This can be considered as a manual diagnostic tool created by Google to make sure your account is accessed only on trusted devices. 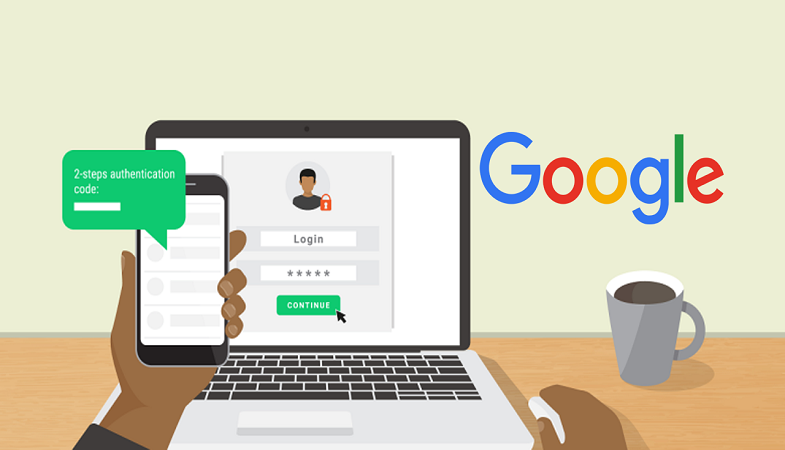 The same tool gives you an overview of all the devices where your Google account has been logged into, all the active sessions, the apps which have an access to your account profile and last but not the least two-factor authentication. We highly recommend that you keep a track of your Google account and utilize this feature whenever you change your device. This especially works when you have to move around to a lot of places and have to log in to your account from multiple locations. With this feature, you will be able to find out about your sessions and also block out the access to your account from the devices which you no longer use. Once you have completed the two-factor authentication setup, the system automatically checks to see if you’ve stored your primary contact number. In case you haven’t, the system will then ask you to add the number first. After your number has been added to the system, you will be ready to get started.